2017 had lots of innovations and trends that included the rise of Bitcoin, Sophia the human Robot, as well as other Artificial Intelligence (AI) technologies. Technology evolution will definitely continue this year in a host of industries – the broadcasting industry being one of them. The industry will look to embrace and exploit some of the opportunities that these technologies can provide. Here, we’ll discuss several trends that will storm the broadcasting industry this year. According to a report by Ericsson, approximately 70% of consumers watch TV and video content on their mobile phones – a double percentage increase since 2012. Companies like Amazon, Apple and Netflix have become serious competition for right owners of major sports events and entertainment shows. The goal is to target the young and old – pretty much anyone hooked to their mobile phones. These e-commerce companies have started making investments to secure rights to sports like Basketball, Cricket and Football – anything that attracts worldwide audiences. 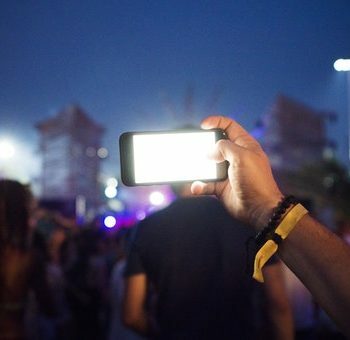 The Over-the-top (OTT) market is set to be taken over by Amazon Prime and their plan is to engage and convince its customers to purchase event packages for mobile viewing. The sharing of video, text or pictures in a two-way communication is done by social broadcasting, straight to the relevant audience via social media platforms like Facebook, Instagram or YouTube instead of the orthodox means like TV or Radio. This isn’t really a fresh invention, but if AI continues to grow, this two-way communication will hold a lot of promises for the broadcasting industry. With this, the broadcasters or media groups can answer their customers in record time. They will also be able to correctly route them without the need to massively increase the number of people attending to the incoming requests. The demand for voice interaction will continue to grow and at the moment, prominent TV brands provide certain levels of voice interaction. There’s a strong indication that in 2018, numerous TV companies will integrate voice assistants (e.g. Apple’s Siri, Google Assistant and Amazon’s Alexa) on their smart TV platforms. These smart TV’s will not only be able to ensure content search assistance, they will also be able to control other compatible smart devices like speakers. This signifies development at a large scale in the broadcasting industry. Hence, broadcasting companies like Wide Networks Solutions who move with the tides, will definitely tweak their business models and operations to accommodate the trends. With A&T rolling out the 5G mobile internet in some US cities this year, there are no doubts that 5G will be influential in the broadcasting industry. 5G benefits include low latency and throughput of up to 1GB/s and its impact on video creation and distribution will hopefully be tremendous. Although Blockchain was developed for use in the finance industry, it has also become very useful in other sectors. 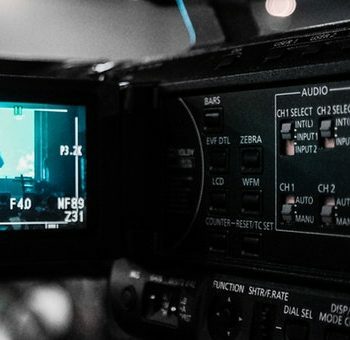 In the broadcasting industry, Blockchain can make it easier and more efficient for consumers to access media by bypassing some geographical restrictions on services like Spotify and Netflix. The world is dynamic and so is technology. 2018 offers a lot for the broadcasting industry and broadcasting companies like Wide Networks Solutions (a prominent global provider of broadcasting and networking services) are already equipped with the right tools to stay abreast of the predicted trends.